The top three features customers look for when purchasing a lab oven are safety (86 percent), ease of use (69 percent), and low maintenance/operating costs (69 percent). Close to 50 percent of those purchasing a lab oven are adding to existing systems and only 3 percent are starting a new lab. Safety and performance are key when it comes to laboratory, control and measurement equipment. For example, an autoclave must properly sterilize medical instruments such as scalpels or they can cause infection and create additional illness. Rotor failures in high-speed centrifuges can damage laboratories while exposing workers to diverse hazards. The proper testing, inspection, and certification of today’s complex laboratory and measurement equipment is critical to successful patient diagnosis, as well as worker safety. 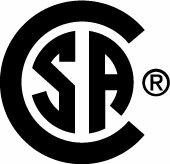 CSA Group provides a wide array of expertise and global customer service to help meet the many challenges of this competitive industry. Laboratory and measurement equipment must meet demanding standards for precision and reliability. Trust CSA Group experts to identify and help resolve flaws so you can safely and confidently go to market. Centrifuge rotor failures can destroy the centrifuge, badly damage surrounding lab equipment, and aerosolize hazardous substances. CSA Group has the deep proficiency to help assure that your centrifuges meet regional and global standards for safety and reliability. At CSA Group, we have the knowledge and experience to test and certify that your autoclaves safely sterilize medical instruments for use in hospitals and operating rooms. Take advantage of CSA Group’s industry-leading biomedical, pharmaceutical, and electromagnetic expertise to have your mass spectrometers certified to meet demanding global standards. CSA Group has the skills to test and certify the critical in-vitro diagnostic equipment used to identify infections, detect medical conditions, and help prevent disease. Measuring devices should be properly calibrated to work effectively. 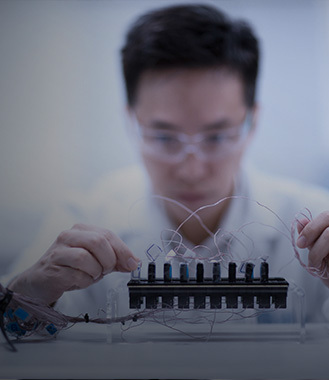 CSA Group can test and certify that your multimeters accurately measure the voltage, resistance, and connectivity of essential medical devices. CSA group has a wide range of global experience in developing standards for laboratory and measurement equipment. The standards we test against in North America include the CSAC22.2 No. 61010 Series and UL 61010-1, and internationally the IEC 61010 series of standards. We offer expert services and custom solutions that help bring your product to market while ensuring compliance. Get the marks you need for local and global North American market access and enter your target market with confidence.